The gambling rookie’s most common casino mistakes. Do you consider yourself a rookie gambler? A rookie is either someone who’s never been to a gambling hall, and is therefore wet behind the ears, so to speak, or a beginner who doesn’t really know their way around a casino or its plethora of games – someone who skipped the tutorial; threw out the instructions and decided to wing it. There’s one big problem with being a novice of this caliber. Rookies tend to make a lot of the worst gambling mistakes. They don’t recognize that they’re making these errors until it’s too late – if they recognize them at all. So today, we’ll cover the top gambling mistakes by inexperienced players so that you can avoid such pitfalls. The following mistakes will siphon your bankroll dry faster than anything. Know them – recognize them – avoid them! Most of the games in casinos are nothing but money pits. Sucker bets are looming within every table and machine you pass. Bad casino games include most (but not all) slot machines, electronic blackjack, American roulette, Caribbean stud poker, and the Big Money Wheel (aka Big 6 Wheel). Sucker bets are the worst, carrying a house edge of anywhere from 5% to nearly 20%. These include most Craps bets (especially props), the Pair Plus Side Bet in 3 Card Poker, a Tie Bet in baccarat, even the insurance bet in blackjack. The simplest advice is to avoid these like the plague! The better route strategy be to become versed in the odds of all casino games so you know exactly what you’re up against. As for slot machines, land-based games are terrible, but a lot of the online slots have decent payouts. Overall, they average 96%, but some pay 98-99%. Do your research and know your games! Most casino games offer some type of simple strategy to improve your odds. Some have in-depth strategies that require great mental fortitude. Only play those if you’re up for the challenge. But simple strategies should always be invoked. For instance, don’t play 10 lines on a 15 line slot machine; don’t hit 12 when the blackjack dealer is showing 6; don’t play American roulette when European roulette is available. Unless you have an unlimited fountain of wealth to draw from, you should be betting on a strict budget. Your bankroll must consist only of funds you can afford to lose, and your bets should be sized to reflect that total. If you deposit $500 at an online casino, it wouldn’t make sense to place $100 bets per hand on blackjack. Even at $25 per bet, all it would take is one terrible 20-hand streak of bad luck to end your session. Learn to divvy up your budget appropriately, whether it’s for specific bet sizes, multiple gaming choices, or a multi-day vacation in Las Vegas. See our previous tutorial on divvying up the stakes for more information. This is one of the most common casino mistakes of all. People tend to believe a pendulum that swings one way must soon swing back the other; that if they’ve lost a large sum of money, they are due to win it back soon. This simply is not the case with casino games. While probabilities due hold true in the long term, they rarely come full circle in a single hour, day, week, or even month. You are never due to win, and chasing losses under this false impression – known universally as The Gambler’s Fallacy – can be an extremely costly mistake! We all like to have a good time, and for many of us, sprinkling a little alcohol into our system can enhance a jovial experience. Unfortunately, the casino is not the place to do it. Alcohol has the keen ability to send our inhibitions flying out the window. 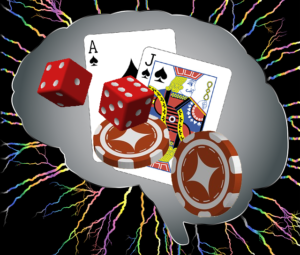 Gambling under the influence of alcohol can convince anyone that bad ideas are good ones, and that losses aren’t so severe as they really are. Keep your wits and your sobriety about you!